In 1791, the bishop of Salisbury, Shute Barrington, had been appointed to Durham, and three years later, the former bishop of Lichfield and Coventry, James Earl Cornwallis, was elected dean. 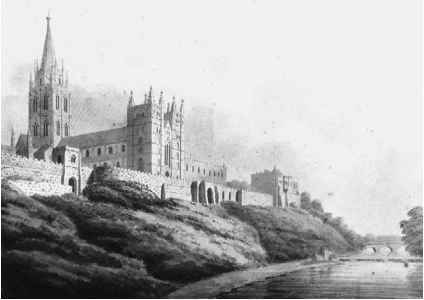 They were both keen on inviting Wyatt to Durham, not only to survey the cathedral, but also to repair and improve the bishop's residences at Bishop Auckland and Durham Castle. 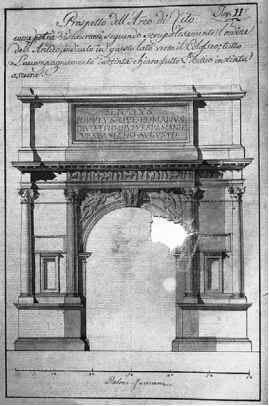 The invitation was confirmed at the end of 1794, and in September 1795 Wyatt presented his plans for the proposed repairs and alterations. There were two main objectives in these plans: first, to improve the building architecturally and to make it stylistically more coherent, and secondly, to make some functional improvements according to the wishes of the Dean and Chapter. the east elevation still under repair by Nicholson, and a tall spire was to be built over the central tower. Inside the cathedral all partition walls were to be abolished, and the whole interior was to provide an uninterrupted view from the west right through to the east end. This meant removing the tomb of St Cuthbert from the Galilee Chapel, the fine Neville Screen, the high altar and all seventeenth-century furniture, the font, the stalls and the organ case. A new main altar was proposed in the centre of the Chapel of Nine Altars, and a new pulpit and throne were planned for the choir. The seventeenth-century organ, which screened the choir from the nave, was to be replaced by a new and lighter structure with elements from the old organ and the dismantled Neville Screen. The chap ter house was to be shortened by half, and rebuilt with a new circular apse. After the presentation of the plans, Wyatt mentions only one visit to the site. The practical execution was given to a local architect, William Morpeth, who was responsible for all the rest and continued to work on the site until 1824. The northern turrets and lower part of the elevation of the Chapel of Nine Altars were already completed, and the stained glass had been stored away. The upper part of the elevation and the southern turrets were rebuilt according to the Wyatt plans. The chapter house had been partly rebuilt according to a plan by Morpeth in a square form - not with an apse as Wyatt had proposed. 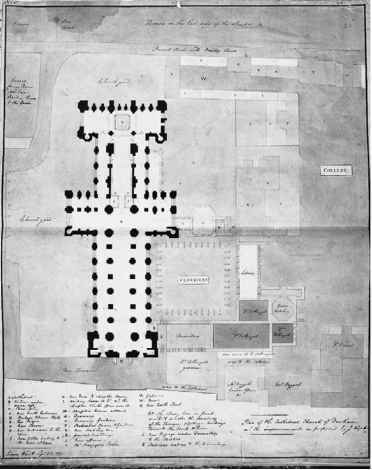 In 1796, it was agreed to remove various functions from the cathedral in order to be able to go ahead with the proposed demolition in the interior of the church and the Galilee Chapel. In 1797, the chapter resolved that, once the east end was finished, Morpeth should undertake the complete repair of the church roof; old lead was to be sold and the roof covered with slate according to Wyatt's plan. Works continued for the completion of the pinnacles and turrets of the western towers according to the plans of Wright-Wooler, as well as for the chiselling of the external surfaces of the north, west and east elevations of the cathedral; the cloister was treated similarly.